New fibre only telco, a joint venture behind Fairfax (which owns Stuff and Trademe) and former executives from Sky and Vodafone, has announced Stuff Fibre will utilise Bypass’s Buddy Guard platform to provide a family safe high-speed broadband product. 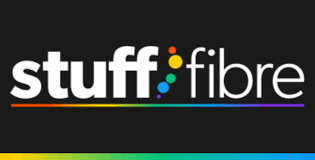 Stuff Fibre will offer uncapped UFB with a 100 megabit download speed and Auckland-based customer support. Stuff Fibre will not offer copper-based broadband or serve businesses, instead targeting the 80 per cent to 90 per cent of homes that are slated to get fibre-optic. Although we have 1.5M people in NZ who can access fibre, only 240,000 have opted for this to date. This is a rich market to be exploited or a hard job getting people to sign-up for fibre – according to media commentators Gavin Ellis. Gavin says this is a strategic move which reduces Fairfax’s reliance on digital advertising market by diversifying the reliance, this is as a good strategic move by CEO Simon Tong, who formerly managed payments provider Paymark so comes from a technology background. We’re excited by the ability for Fairfax to have major impact in driving an understanding of the benefit for fibre in New Zealand homes and small businesses. You can read more about Stuff Fibre’s announcement about kid safe Internet here.